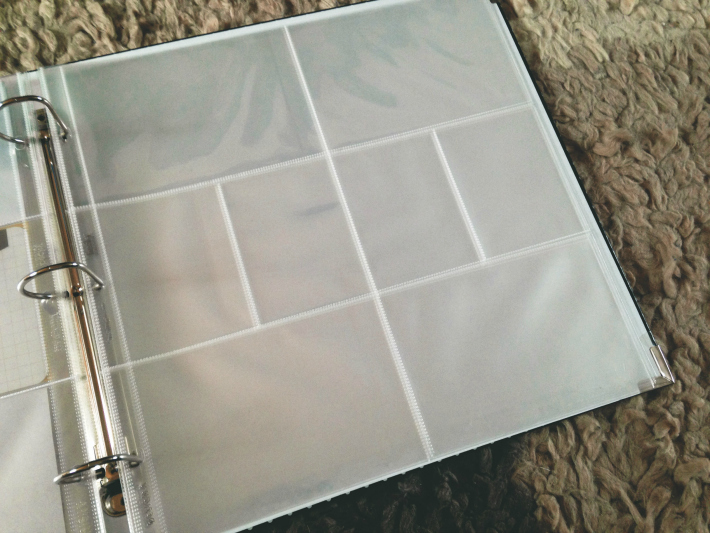 To get started all you need is a binder, page protectors and a core card kit. 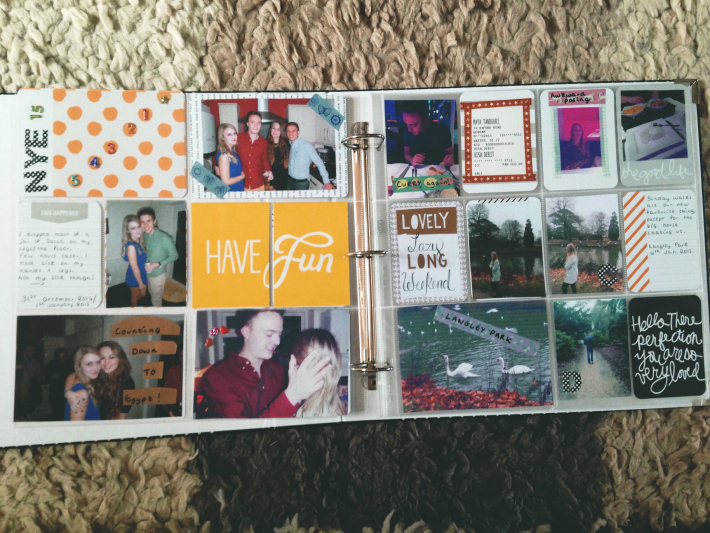 The card kit isn't a necessity, as it's quite pricey, but it has helped me a lot with filling in blank spaces and sticking photos on. 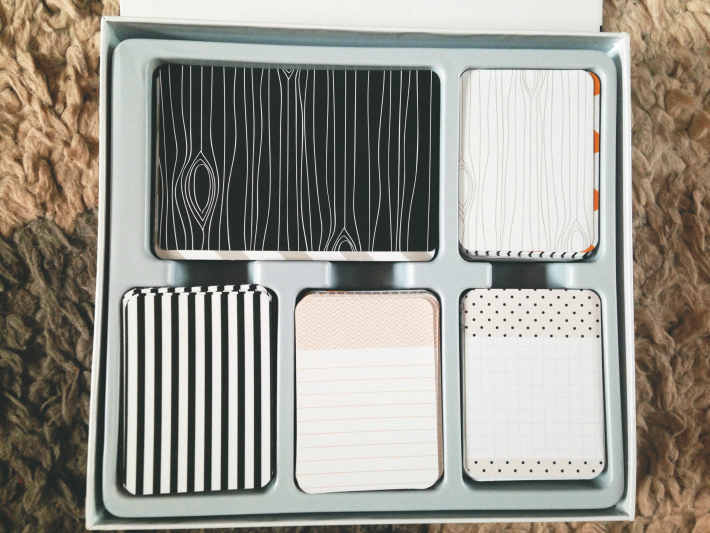 I chose the Midnight Edition because I loved the polka dot binder and the cards in the set. There are other sets available on the Hobbycraft website but they are limited because it's an American brand. The page protectors I chose were Design A with the four 4x6 and four 3x4 photo sets. There are other kinds available, including six 4x6. I may switch layouts later on but I'm happy with this set at the moment. However, it can be quite hard to fill in the smaller frames. You do need to get creative to decide how to fill these. Or you can just split a 4x6 photo in half! The core card set comes with 616 cards. 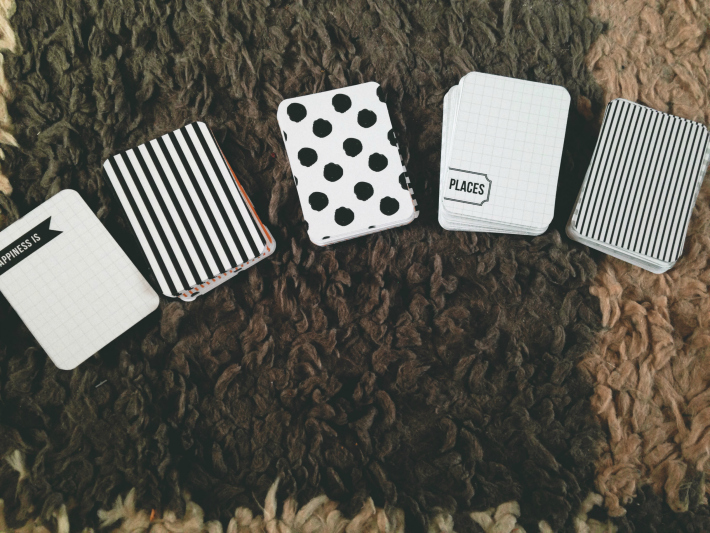 There are cards you can write on, cards with words on already and pretty cards you can use to fill a space with. I'm looking to get the Seasons Edition mini kit so I can document the changing of seasons throughout the year. I also need to invest in some Midnight Edition dividers. I picked up a few bits and bobs from Paperchase. I wanted to use more things on my photos; not just the cards included in the kit. 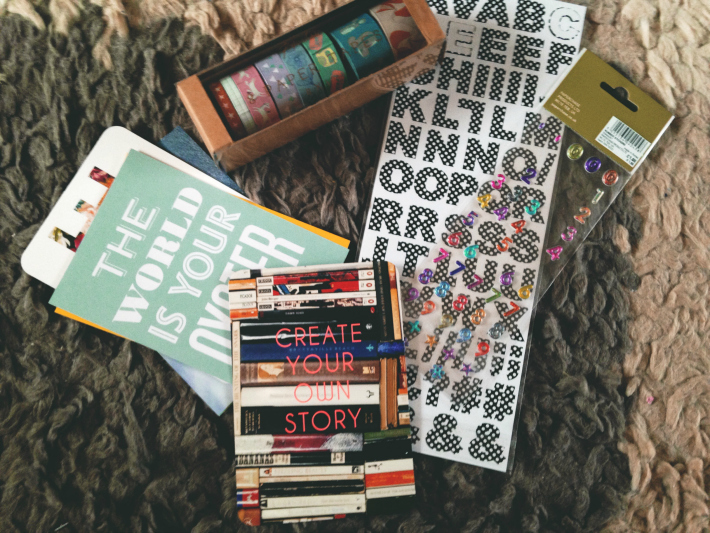 I picked up some cool postcards, Washi tape (everyone loves Washi tape) and sticky letters and words. 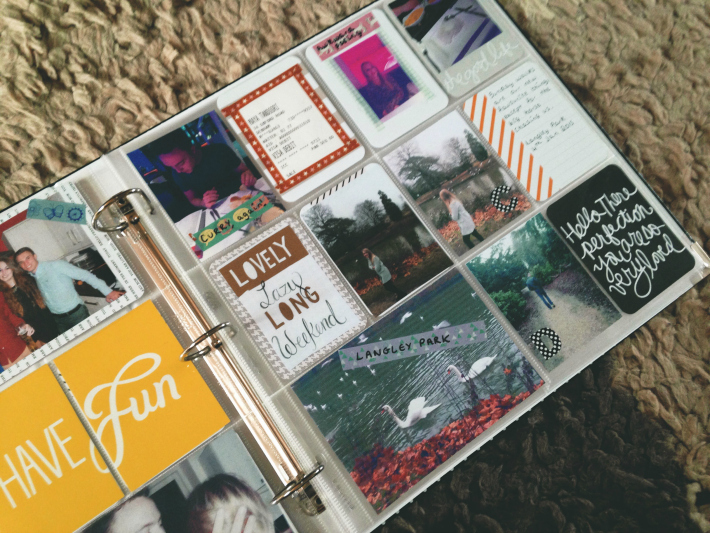 I'm using brown paper too so that I can write things on my photos (an idea taken from Lily Pebbles). Here you can see the first few pages. It's a bit blurry because I don't want to share all the little details but you get the idea. I'm quite proud of these pages from the first week of January. I printed the photos using my HP printer but I think I will start using Boots/Snappy Snaps or Photobox if I'm patient enough. These aren't the greatest quality photos but they're good enough for now. I'm looking forward to documenting my year on paper instead of the Internet. 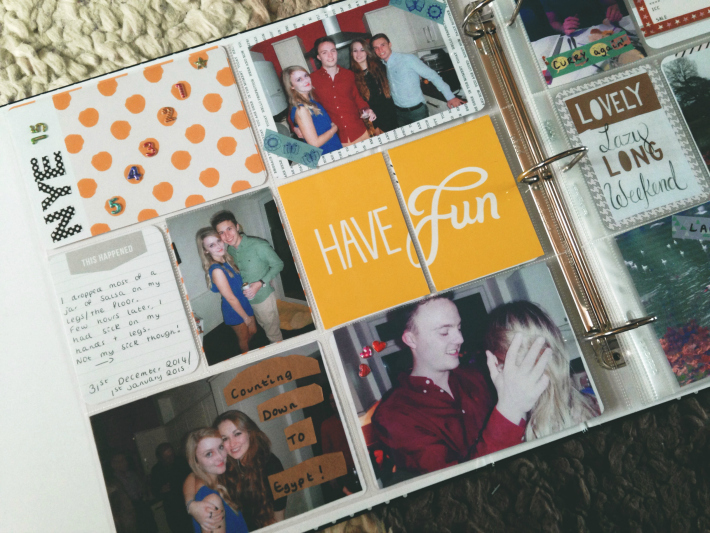 I post so much on Instagram but it's great to have all the memories in a book for me to look over. 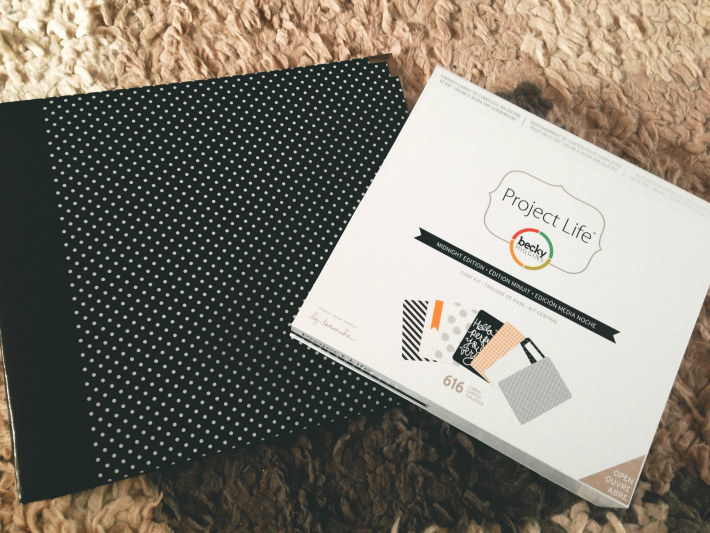 I was also inspired by Lily Pebbles' blogs, and soooo need one of these kits. Think I'll have to start one now definitely as they are so pretty!